South Africa’s coffee culture has got off to a late start. Ten years ago you would have been hard pressed to find a decent cup of java, even in cosmopolitan cities such as Cape Town and Johannesburg. Back then, the nation would drink moer-koffie – ground coffee brewed in an enamel coffee pot on an open fire – or worse still, instant coffee, which has only recently started to see a drop in sales. Since then, the coffee industry in South Africa has come a long way – and fast. 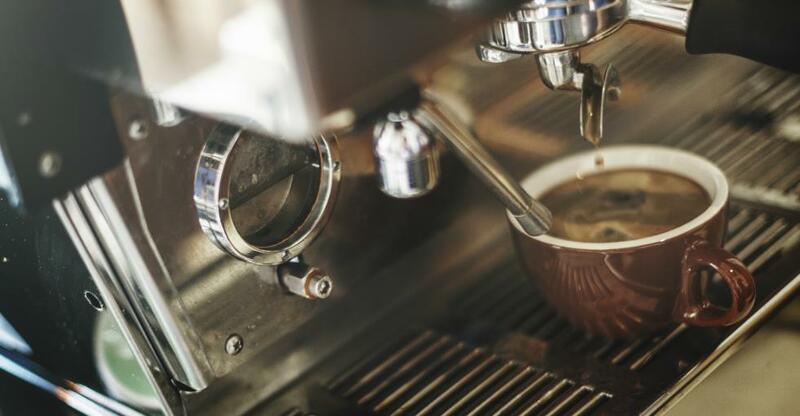 The sector is experiencing a rapid transition towards specialty coffee, and there are now more than 100 roasteries operating throughout the country, with latte art and barista competitions springing up. In 2016, coffee shops made up the largest portion of the South African franchising sector, at 20%. There is also strong demand for independent coffee shops that offer an imaginative, social space for young mums, office workers and cosmopolitan twenty-somethings. Freehold - Be wary of South Africa’s Sectional Titles Act (1986), which has implications for commercial real estate developments. The act permits multiple owners to own defined sections within a building, but they are subject to more planning restrictions than those who own a building outright. Leasehold – The Consumer Protection Act (CPA), which came into effect in 2011, is worth understanding. The law addresses the duration, expiry and renewal of lease agreements. The landlord is deemed ‘the supplier’ and the tenant is ‘the consumer’. Franchise – Entrepreneurs benefit from operating under a recognised, (hopefully) reputable brand as well as training and ongoing support from the franchisor. Tenancy coffee bars – There is strong and growing demand for high-quality, takeaway coffee. Many businesses, such as convenience stores, collaborate with coffee brands to satisfy this demand. Increasing consumer’s average spend is an interesting challenge for coffee shop owners. Although you’ll want to offer a welcoming environment with Wi-Fi and a tranquil, comfortable workspace, you want to maximise what your customers are spending while on your premises. Consider offering a lunch menu with food and drink specials/discounts and capping Wi-Fi usage during busy trading hours. Competition is strong as independent coffee shops continue to sprout up in cities at a record rate. With consumer tastes becoming more refined too, it is also important to keep ahead of roasting trends and deliver a high quality product. Value still has its place, however, and loyalty cards will encourage customers to frequently return to your business. Staff motivation can be a challenge in the hospitality sector where pay rates are low and largely young employees often see the job as a stopgap, not a career. Be thorough in your search for staff and remember that a positive attitude and friendly demeanour are invaluable – and if they see barista work as a career then even better. Once you have the right staff, also make it a pleasant environment for them to work in. The Small Enterprise Development Agency (Seda) is a government-run service that provides business development support for start-ups. Seda can offer help at various stages, from helping entrepreneurs to produce a business plan to offering advice on how to consolidate and improve a company. Government grants are available and provide funding for ventures that will positively affect the country’s economy, create employment and attract foreign investment. The Department of Trade and Industry (DTI) is responsible for encouraging small businesses and offering suitable grants for start-ups. Each grant will have its own criteria; however, many of the larger grants require the recipient to produce 12 months of business financial records, and some may even ask for other collateral. As the coffee scene continues to grow, shops have found diversification a useful means of boosting profit margins. Making a profit on coffee sales alone might prove difficult; however, offering additional products near cashiers will encourage customers to spend more. For example, a vintage-inspired coffee house might sell music records or artwork as a way to generate extra sales, while also echoing the décor and image of the business. Truth Coffee Roasting in Cape Town, meanwhile, is a radically designed, steampunk-themed coffee house (among the best in the world, according to UK newspaper The Telegraph), while Linden in Johannesburg has become home to South Africa’s first neighbourhood-inspired coffee shop, encouraging customers to reconnect with their neighbourhood and its history. In the last few years, many independents have also equipped their business with an in-house coffee roaster, which allows barista buffs to grind and sell their own specialist blends. Retailing your own coffee products is a great way to not only diversify, but also build up brand awareness and consumer loyalty. Customer interaction is just as important as the quality of your coffee beans. Vendors should show a strong willingness to engage with the local community and provide an environment that encourages a tranquil yet social atmosphere. A passion for specialist coffee and knowledge of different blends and their origins is essential. There has been a rise in socially-conscious consumers who want to know where their coffee is grown and how it is produced, which highlights the importance of selling Fairtrade-accredited products. Although a coffee shop is a lifestyle business for most people, don’t lose sight of the importance of business acumen. Managing cash flow, keeping on top of your finances, and reviewing employee performance and product sales can’t be neglected if your coffee empire is to flourish. A kiosk-style coffee shop can be added to almost any business, from libraries to clothes shops or convenience stores. Coffee drinking is on the rise and with a stall only requiring a small space, coffee bars are a great addition to many businesses. If you own a convenience store, adding a coffee stall to your business would allow you to capitalise on the high-growth takeaway coffee sector. There are two main routes to consider. One would be collaborating with an existing coffee brand or franchise and having vendors operate within you store under a tenancy agreement. Alternatively, you can provide your own in-house coffee brand to provide customers with hot beverages on the move. Location is paramount in the coffee shop industry. Whether the business is based near a train station, on a busy high street or overlooking a popular park, make sure you assess location and footfall when appraising a coffee shop for sale. The space within the building is also important, as this is something you cannot change. But small isn’t necessarily bad; small is synonymous with ‘cosy’ or ‘intimate’, your lease is cheaper and it takes fewer customers to generate a profit. On the other hand, your scope for increasing takings – and the value of the business – compared to the previous owner is arguably greater the larger your floor space. It all depends on your budget and priorities.